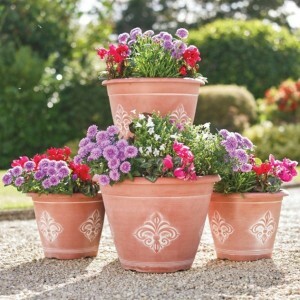 The Fleur-De-Lys Planters by Greenhurst are manufactured from UV-stabilised polyurethane which means they are highly weather resistant, durable and lightweight. 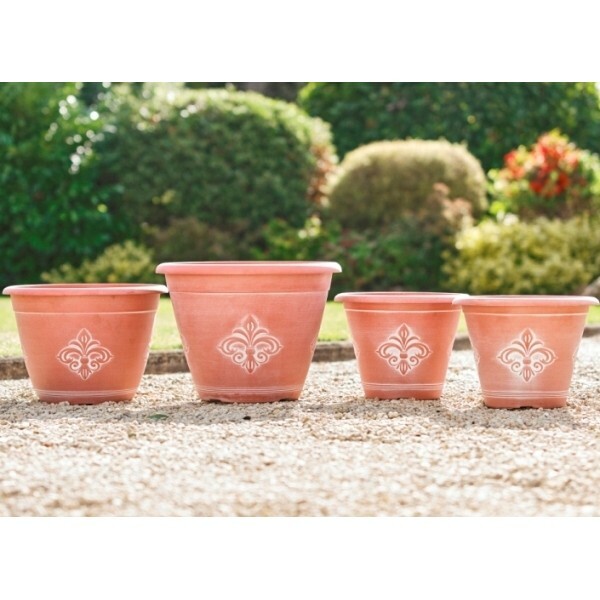 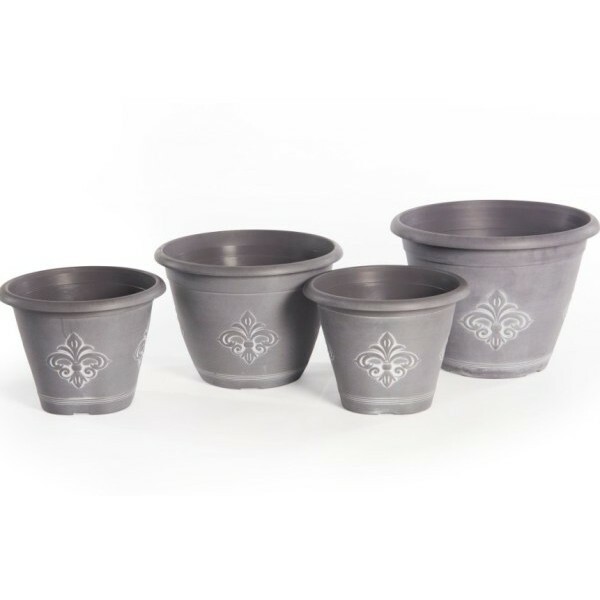 Ideal for displaying different varieties of flowers and plants, each planter has a classic Fleur-de-Lys design and comes complete with pre-drilled drainage holes. 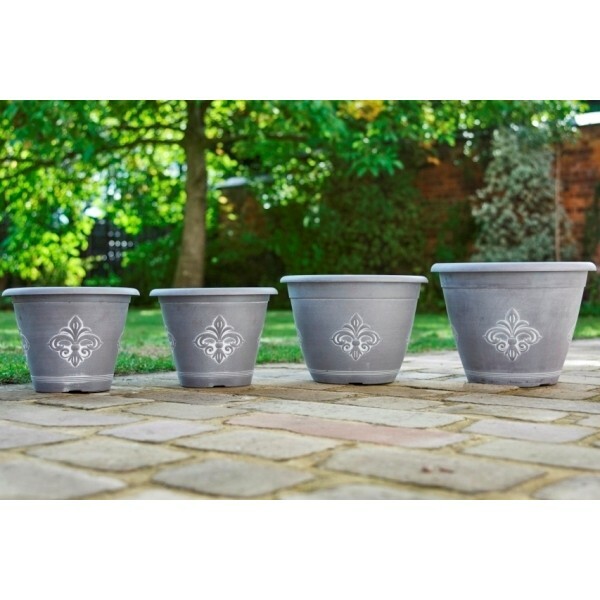 These planters will bring a touch of sophistication to any garden or patio, and are supplied as a pack of four. 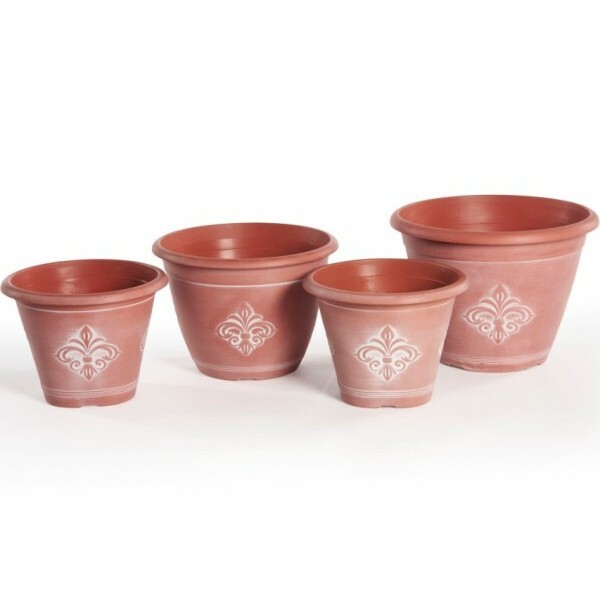 They are finished in a choice of two classic colours, heritage grey or terracotta, allowing the design to really stand out in any outdoor space.